do you guys know of any other really good combinations ? Beer and food pairings have an entire subculture, not unlike wine. On both Ratebeer and Beer Advocate, there are entire forums dedicated to beer and food pairing. Honestly, there are an infinite number of combinations. One thing I've heard is that a lot of chefs really like pale lagers. Not because the pale lagers themselves are all that amazing (personally, I'm not a fan of them), but they present a neutral palate, which allows them to pair well with most dishes. Personally, two of my favorite pairings are hoppy IPAs with spicy food, and imperial stouts with desserts (especially if they are chocolate-based). IPAs complement the spice and help cut the heat of the spicy food. And the dark roastiness of the imperial stouts really complements the sweetness of dessert. 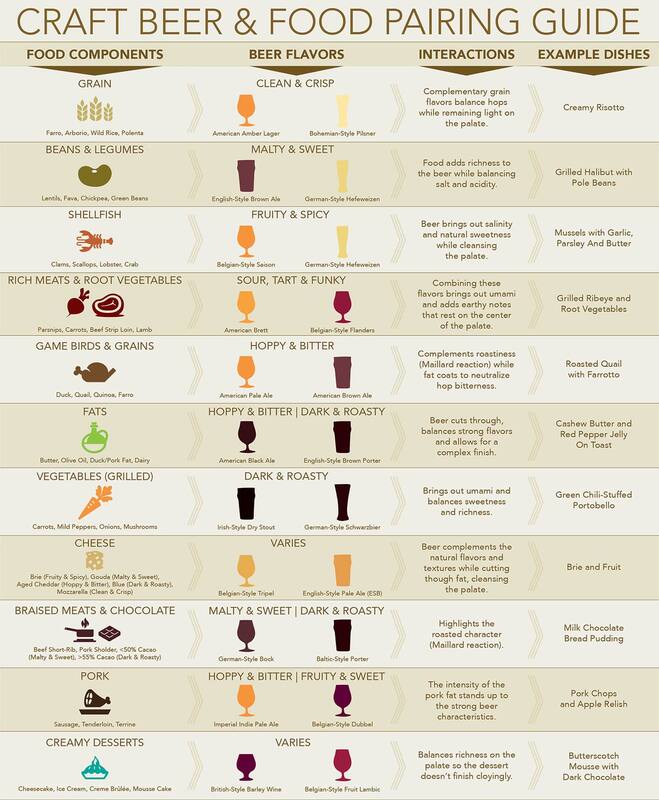 The infographic below is from craftbeer.com and contains their recommendations on food and beer pairing. I tend to like what it suggests. For a good spicy curry I like significantly hop-forward beer, like a big IPA. Not the answer you're looking for? Browse other questions tagged taste pairing or ask your own question.